Enjoy a great night's sleep in the welcoming guest rooms at McMinnville Inn. Our pet-friendly hotel is home to 59 guest rooms that provide you with a quiet place to rest after exploring the beauty of Oregon wine country. 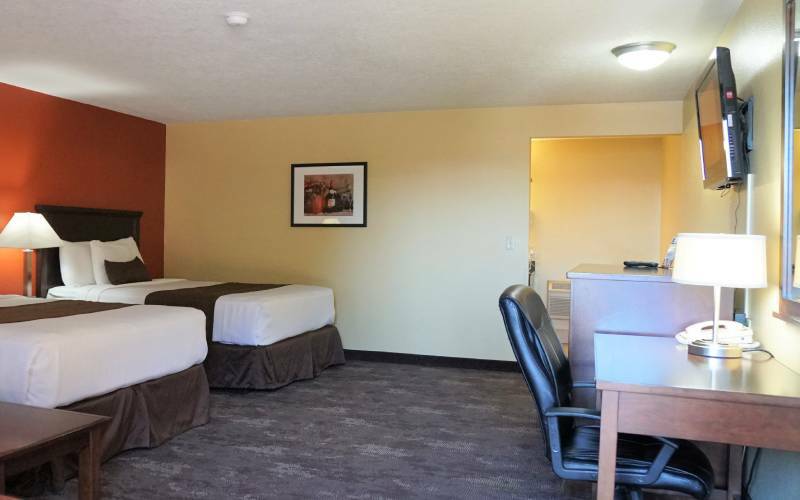 With all nonsmoking rooms available, as well as your choice of one king bed or an oversized deluxe king bed with a sofa or an oversized deluxe room with two queen beds and a sofa. We provide you with plenty of options to make you feel at home.